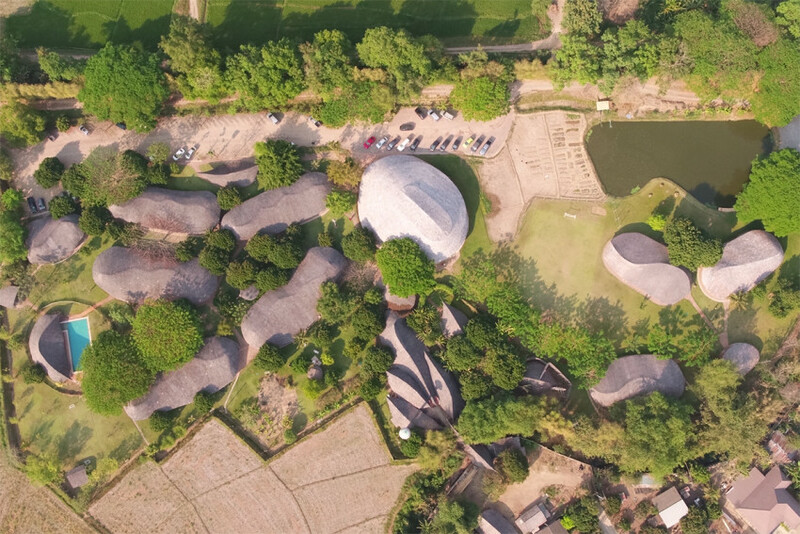 The design was based on the lotus flower as Panyaden International School is in Thailand and uses Buddhist teachings to infuse values into its academic curriculum and teach the underlying mechanisms of the human mind. 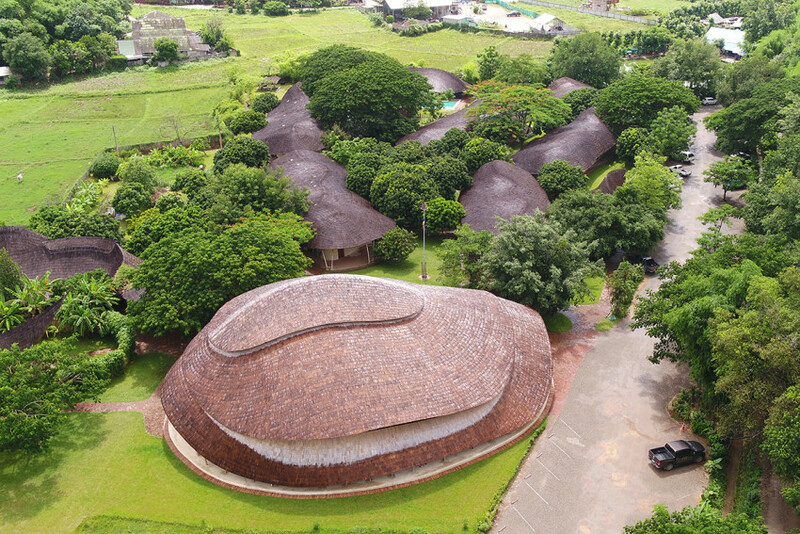 The brief was to build a hall that should be big enough to hold the projected capacity of 300 students, but still smoothly integrates with the previous earthen and bamboo buildings of the school as well as the natural hilly landscape of the area. 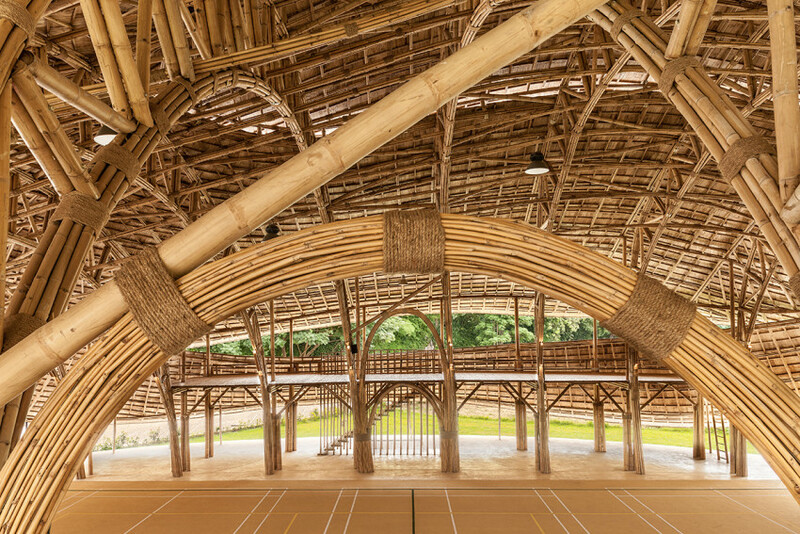 It should provide modern sports facilities and use only bamboo to maintain the low carbon footprint and the “Green School” mission of Panyaden. 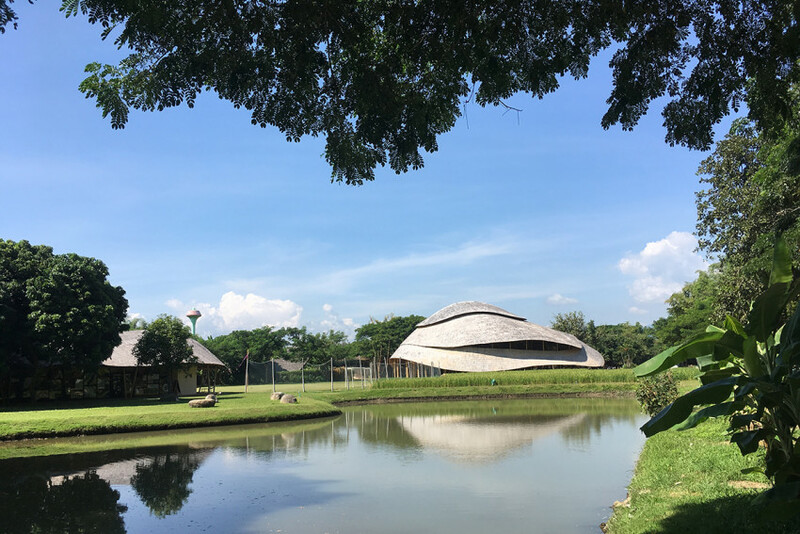 The hall covers an area of 782 sqm, and hosts futsal, basketball, volleyball and badminton courts, as well as a stage that can be lifted automatically. The backdrop of the stage is the front wall of a storage room for sports and drama equipment. On both long sides balconies provide space for parents and other visitors to observe sporting events or shows. 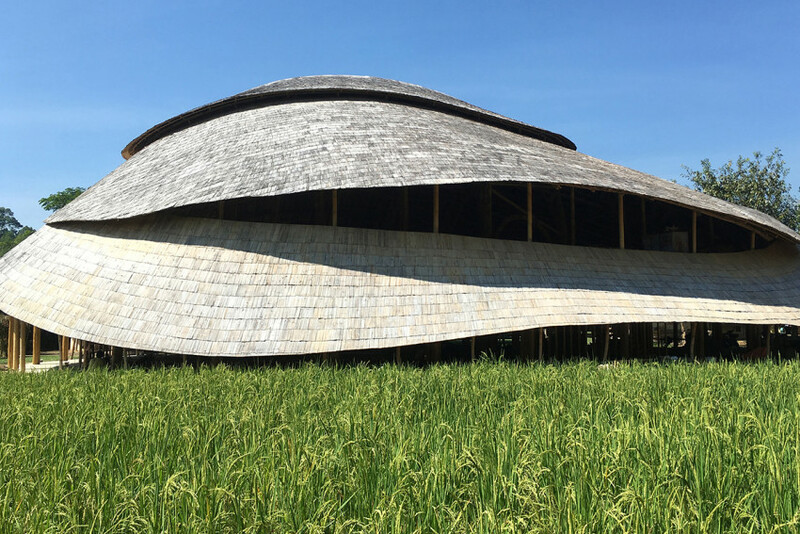 The design and material enable a cool and pleasant climate all year round through natural ventilation and insulation. 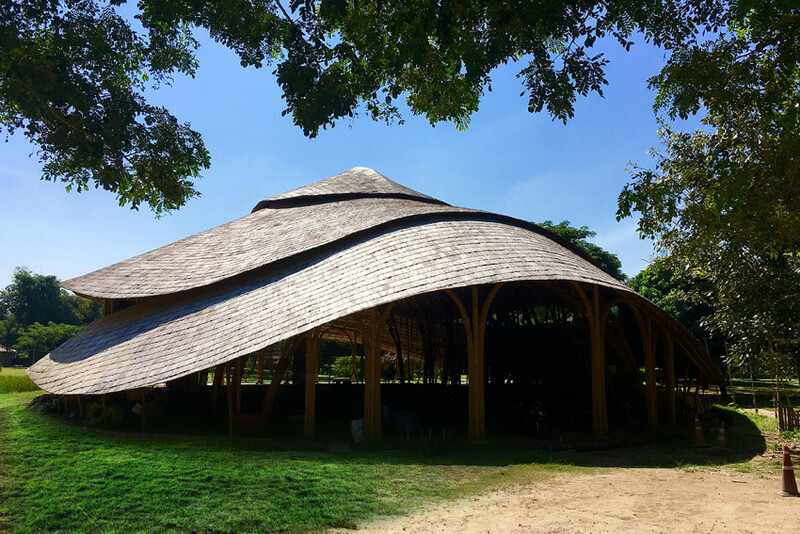 At the same time, the exposed bamboo structure is a feast to the eye and an exhibition of masterly handicraft. The hall was designed with the help of 2 independent engineers to modern safety standards of loads, shear forces etc. to withstand the local high-speed winds, earthquakes and all other natural forces. 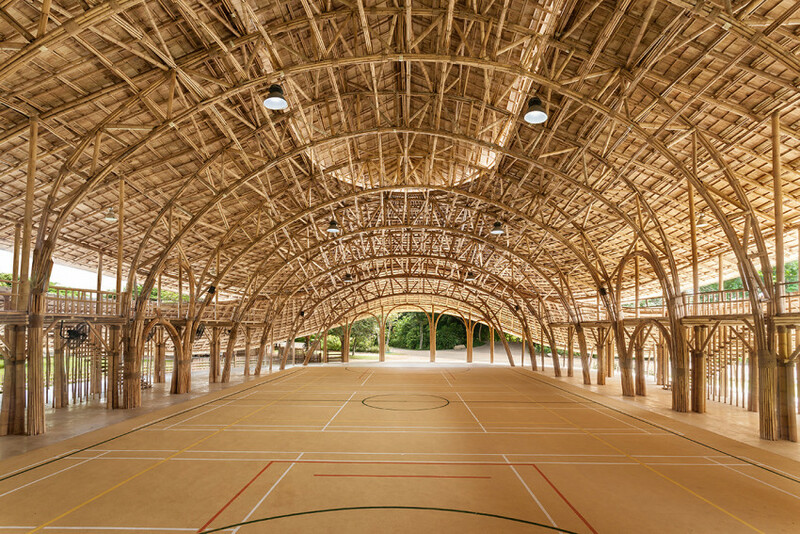 The innovative structural design is based on newly developed prefabricated bamboo trusses with a span of over 17 meters without steel reinforcements or connections. These trusses were prebuilt on site and lifted into position with the help of a crane. 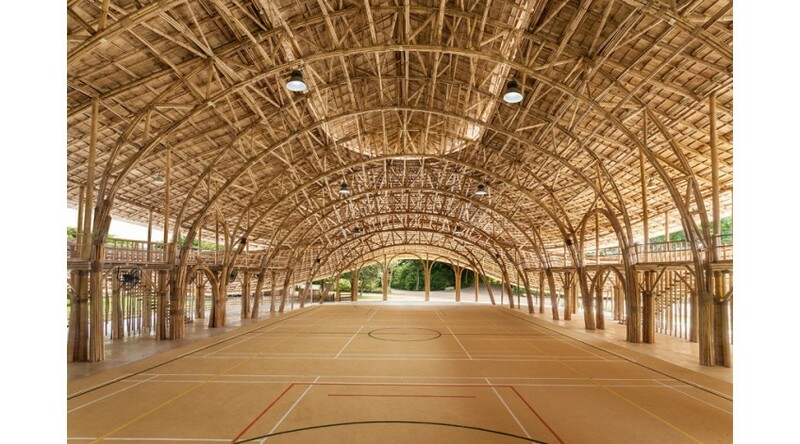 Panyaden’s Sports Hall’s carbon footprint is zero. 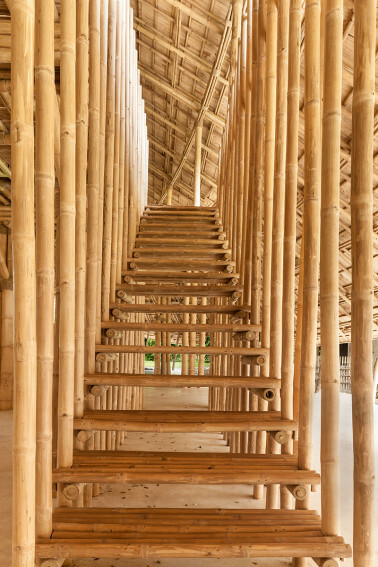 The bamboo used absorbed carbon to a much higher extent than the carbon emitted during treatment, transport and construction. 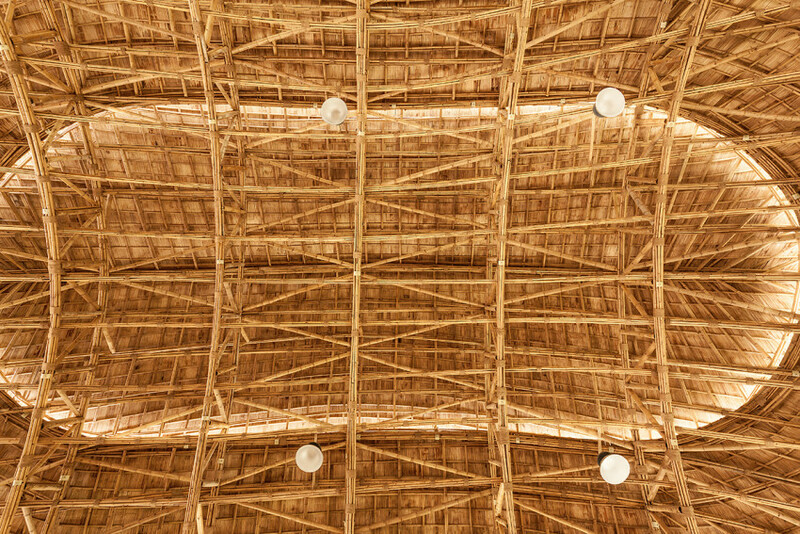 The bamboo was all well selected for age and treated with borax salt. No toxic chemicals were involved in the treatment process. 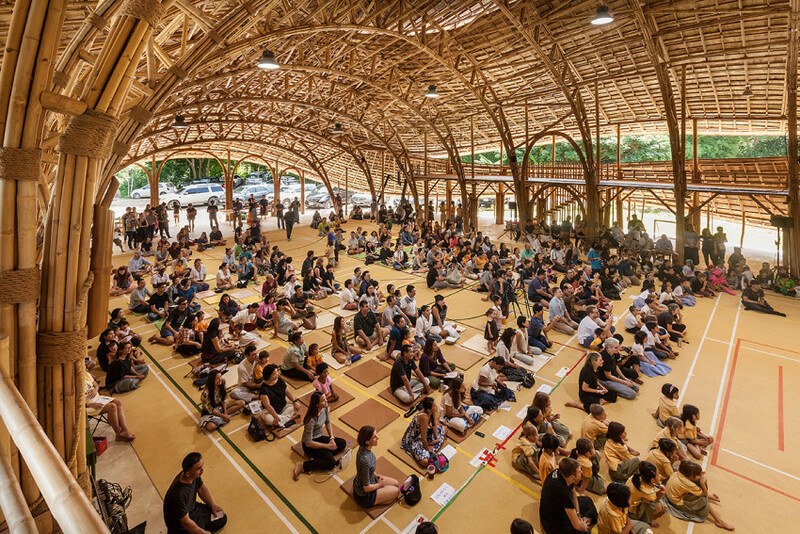 The life span of the bamboo hall is expected to be at least 50 years. 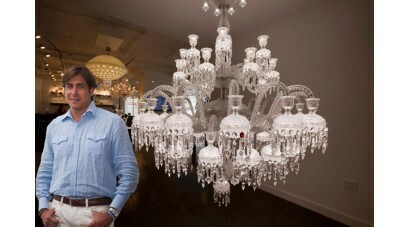 Seven-feet tall, five-feet wide, and 1,868 pieces of hand-crafted crystal, this $170,000 glass chand.. 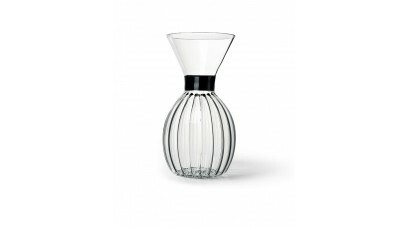 The pleated vases Miuccia reveals similarities with vintage glass pieces.. 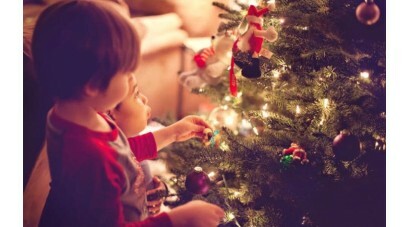 Discover the fascinating stories behind these festive traditions, from Christmas food and carols to ..